Comments: Black uraninite impregnating coaly wood fragments. 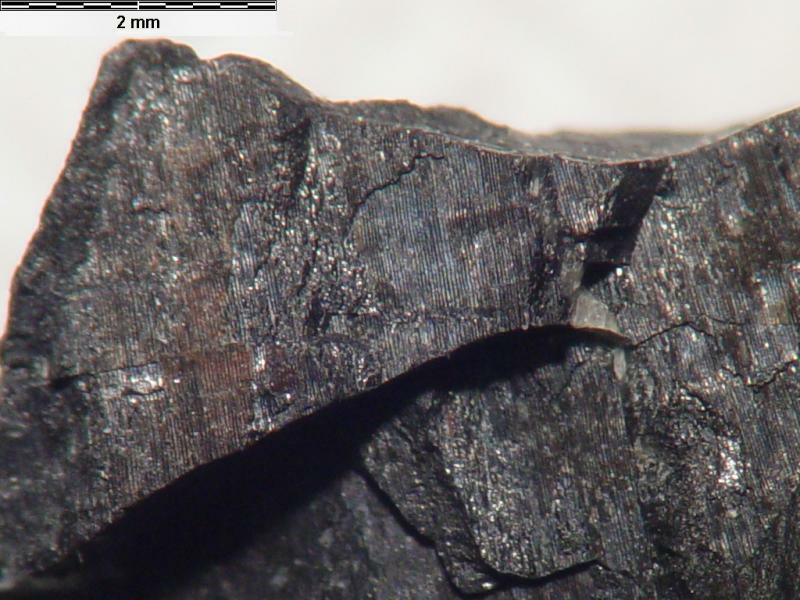 You can see the woody structure in detail preserved in the uraninite. Location: Grants mineral district, Westwater Canyon Member of the Morrison Formation..